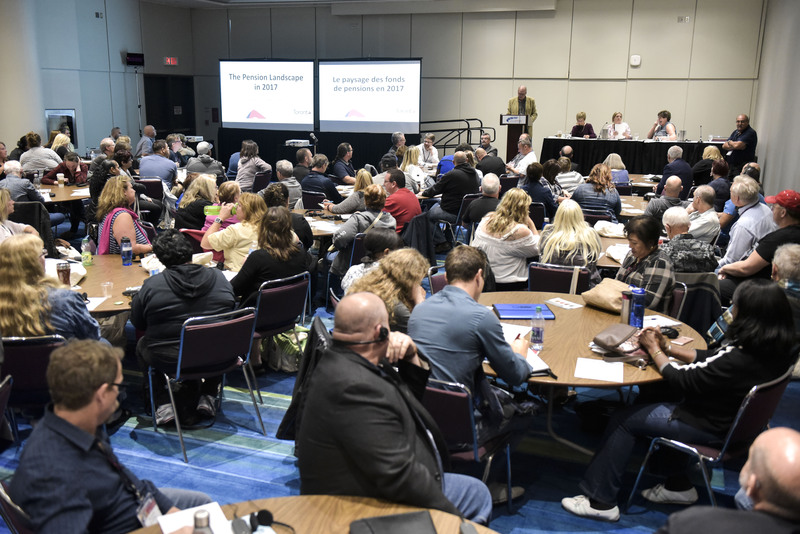 CUPE has been at the forefront of campaigns for strong pensions, but the union must remain vigilant in the face of continuing attacks on Canadians’ retirement benefits, a standing-room only crowd at Sunday’s pension forum was told. More Canadians than ever can now retire with security and dignity. Last year’s federal-provincial agreement to expand CPP represents the biggest expansion in half a century, while CUPE’s efforts helped convince the Trudeau Liberals to cancel Stephen Harper’s move to raise the age of eligibility to 67 from 65. On the negative side, CUPE members have faced employer attacks on pensions in Nova Scotia, Ontario, and Quebec. And delegates were urged to fight Bill C-27, which would open the door for federally-regulated employers to convert secure Defined Benefit (DB) pension plans into insecure Target Benefit (TB) plans. Also at the forum, a presentation by CUPE Research raised concern about public sector pension investment in public-private partnerships. Delegates also heard from two trustees of the Health Care of Ontario Pension Plan (HOOPP). An industry leader in protecting defined benefit plans, HOOPP is more than fully funded, with $1.22 of assets in hand for every dollar owed in pension benefits to retirees. Retiring CUPE pension activist Helen Fetterly received a standing ovation after being acknowledged for her years of service in improving pension plans for CUPE members and all Canadians.